10 Stunning Earrings To Make A *Bold* Statement! While earrings might be the last thing we wear while getting dressed, they’re actually the most effective when it comes to making a statement. After all, accessories have the power to make or break your look, correct? Since the festive season is right here and we’re all about making a fashionable statement, here are 10 gorgeous earrings that’ll help you do the same! To amp up your outfit, ditch those basic hoops and go for something that speaks glamour. Yes, we’re hinting at these floral hoops! A geometric design and tassel detailing strikes the right balance between edgy and elegant. Match these earrings with a simple attire to make the colours pop! Need a pair of big, bold earrings for all the ghar ka functions this shaadi season? These gota earrings are as traditional as it gets. It’s hard to go wrong with the evergreen combination of magenta and golden. Not a fan of big, chunky earrings? Getting your hands on these sleek gold earrings. They would be a good investment to make! They exude a chic vibe and it doesn’t get any better. When in doubt, always look towards the good old desi danglers. You can mix and match them with western wear and see how they instantly add life to your look. We approve! Inspired from temple jewellery, these elaborate droplet earrings are the kind that even your mom would approve of. Want your jewellery to do all the talking? Just grab these stunners! Whether it’s the classic LBD or desi attire, these geometric earrings will definitely up your style game. Tie your hair in a high pony to and let these babies fetch you compliments! Contemporary and runway ready, these twisted gold earrings have our heart! Their versatile and chic design makes them such a steal for this price. This rather structured take on the tassel trend is too good to miss! 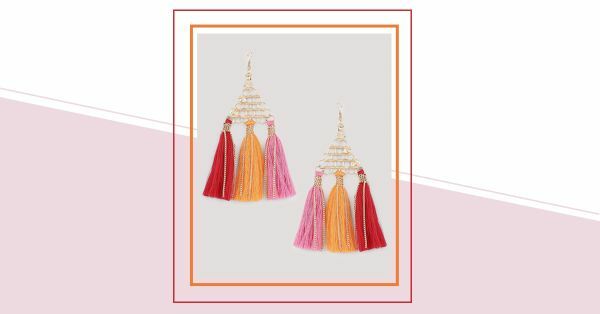 You don’t need any other accessory when you’ve got these tassel earrings to dress up your look. 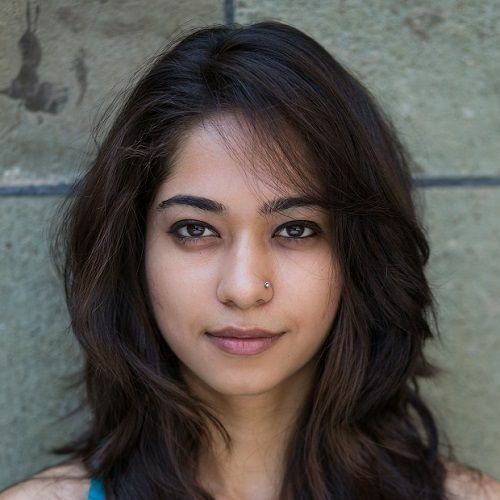 We knew we wanted to get our hands on these stunners when we saw Shaleena Nathani flaunt these earrings. They’re all you need to add a slight edge to your ensemble.